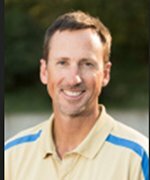 For the last seven years, Hoyt has been the assistant coach of field events, men's decathlon and women's heptathlon at Cal Poly (San Luis Obispo). During that time and after her Mustang college career, Hoyt has coached Sharon Day to national stardom in the heptathlon. Initially a standout high jumper, she won the NCAA women's high jump event (6-4) in 2005 and made the U. S. team at the 2008 Olympics (Beijing, China). In 2009, Day's first year of full time heptathlon training, she made the USA World Championship Team in both the high jump and heptathlon. Her heptathlon success continued with a second-place finish at the USA National Championship Meet in 2010 and the top spot on the podium in 2011. At the 2012 Olympic Games in London, Day was the top U. S. finisher in the heptathlon. Hoyt has been Day's coach in all seven of the heptathlon events. Along with Day, Hoyt had three other athletes competing at the 2012 Olympic Trials, two in the decathlon and one in the javelin. During his tenure at Cal Poly-SLO, Hoyt coached two Olympians, five NCAA Div. I scoring athletes, 10 NCAA Championship Final meet qualifiers, 37 Regional qualifiers and 19 conference champions. He showed his versatility with conference champions in the pole vault, high jump, long jump, javelin, discus, shot put, heptathlon and decathlon. From 1999-2005, he was the head coach for women's and men's track & field at his alma mater, Seattle Pacific University. In his last season, Hoyt led the Falcon women to 13th at the NCAA Div. II Outdoor Championships and eighth indoors. His top athletes included Danielle Ayers-Stamper, the 2005 NCAA Div. II Indoor national champion in the high jump and Chris Randolph, the 2005 NCAA Div. II Outdoor decathlon national titlist. During his six seasons without a campus track & field facility, Hoyt's SPU teams won a total of five outdoor and indoor conference championships. At SPU he earned a Regional Coach of the Year honor, was a five-time Conference Coach of the Year and produced 36 Div. II All-America athletes and 102 conference champions.